Sunny Kim is deeply honored to live and work in Seattle as a teen librarian. They love building strong relationships with young people, geeking out over science fiction and comic books, and serving the community. They also recently served on the Asian Pacific American Librarians Association Young Adult Literature Awards Committee during the first year APALA was included in the ALA Youth Media Awards. They have presented at the Washington Library Association conference, ALA Midwinter, and the Joint Conference of Librarians of Color on transgender inclusion and cultural humility. 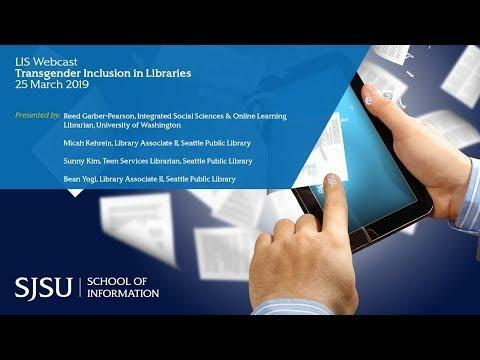 Reed Garber-Pearson is the Integrated Social Sciences & Online Learning Librarian at the University of Washington where they have worked since 2016. Garber-Pearson is currently serving as the President-Elect for the Washington State Chapter of the Association of College & Research Libraries (ACRL). They organized the Social Justice and Libraries Open Conference in 2016, the UW Libraries’ Practicing Critical Librarianship Unconference in 2017, and have presented at local and national conferences on critical digital pedagogy and transgender inclusion. Micah Kehrein is a current MLIS student at the SJSU iSchool and a Library Associate II for the Seattle Public Library. They grew up in a small town where the public library was central to the community and have been passionate about libraries ever since. Kehrein believes that public libraries must explicitly center equity and social justice in order to truly provide access for all. Once they have completed the MLIS program, Kehrein hopes to go back to their roots and practice radical, welcoming librarianship in rural America.